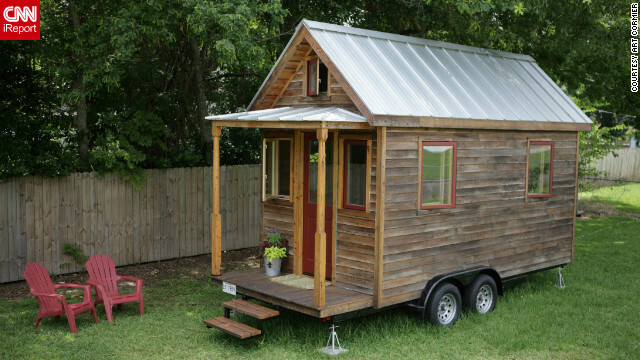 The small home movement has been around for years in small cities and rural areas, but this summer, it made a big incursion into one of the country’s largest and most densely populated urban centers. A small contingent of homeowners … have found solace living in less than 500 square feet. Many of them live in homes built on trailers so they can move around; others … live in Cob homes built of clay and mica. Some are motivated by a desire to lessen their carbon footprint while others want to own a home without worrying about property taxes. Small homes aren’t for everybody, but those who embrace the lifestyle tend to become their most enthusiastic boosters. Most of the iReporters who shared their stories of living small with CNN.com also build tiny homes or run businesses dedicated to helping others build their own.